Astronaut Bananas - spacekids - space toys, dressing up costumes, kids spacesuits, astronaut food, cool space stuff! 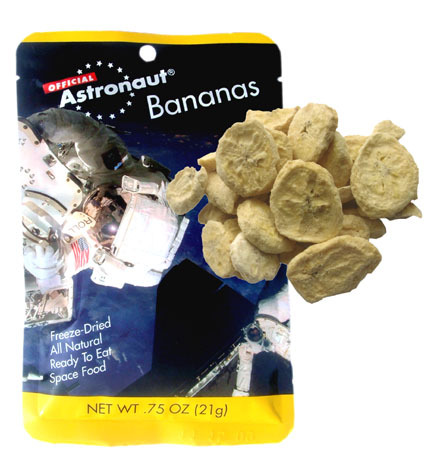 You can now eat bananas just as the Astronauts do - the freeze-dried way! Astronaut Bananas, as well as other freeze-dried food items, have been aboard space missions since the early Mercury Missions. They continue to be used on NASA missions today.